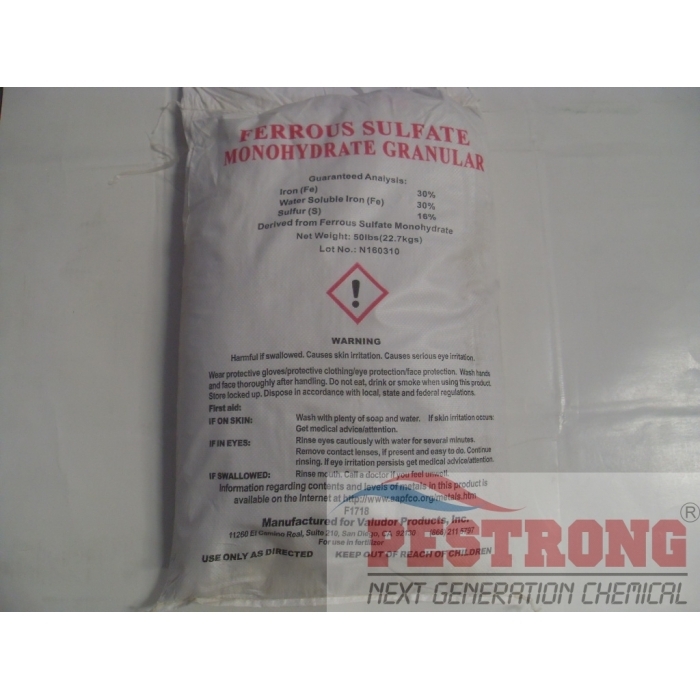 Where to Buy Ferrous Iron Sulfate Fertilizer, Iron Granules Ferrous Iron Sulfate - 5 - 50 Lb - $12.55 for Sale with Fast Free Shipping! 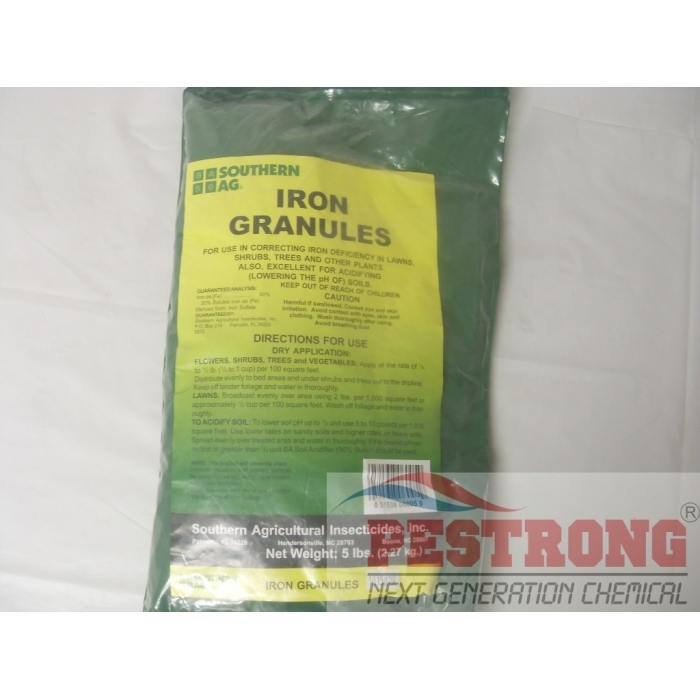 Iron Granules Ferrous Iron Sulfate - 5 - 50 Lb contains 30% iron from ferrous iron sulfate that used to correct and prevent of iron deficiency, high pH, and kill moss lawn & drive way. Iron deficiency appears as intense yellowing of new growth. FOR: Correction and Prevention of Iron Deficiency and high pH. Kill moss over lawn. RATE: 1/4 to 1/2 pound per 100 sq.ft. or 2 pound per 1,000 sq.ft., Killing Moss application: 2 ~ 3 pound per 1,000 sq.ft., To lower soil PH up to 1/2 unit: 5 ~ 10 Lb per 1,000 sq.ft. 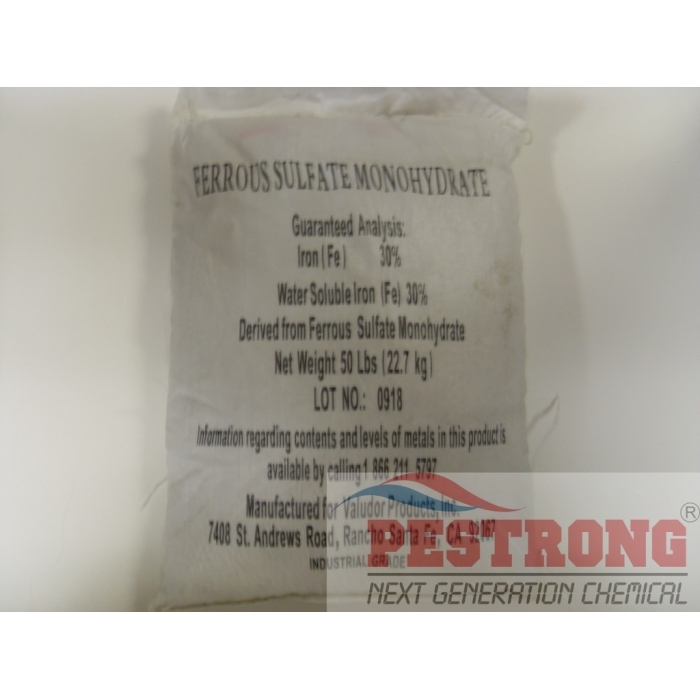 If the desired pH correction is greater than 1/2 unit, use our Soil Acidifier (90% Sulfur) should be used. APPLICATION: Spread over treatment area and water in. 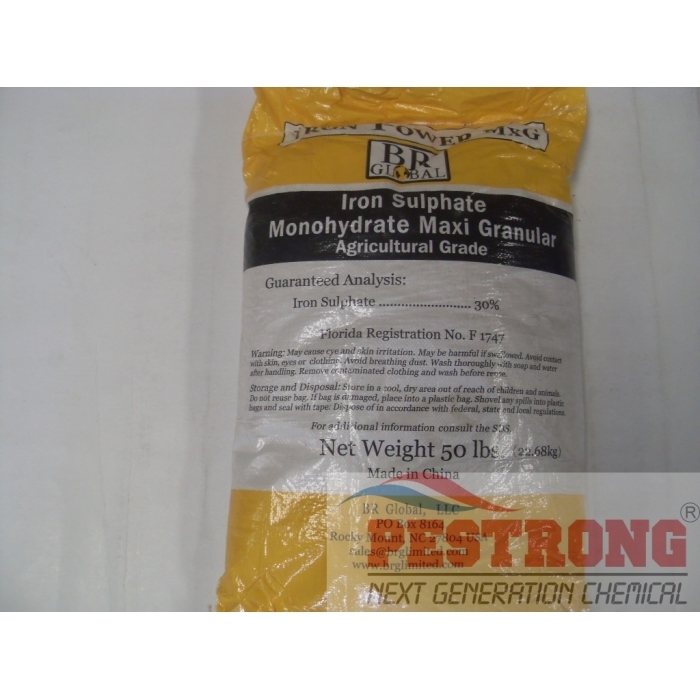 We will ship Southern Ag Brand for 5 Lb, but any brand for 50 Lb bag of 30% iron sulfate. I purchased this from this website before, and there still isn't a better price for this product than here. positively the best moss killer ever used. easy to apply too. 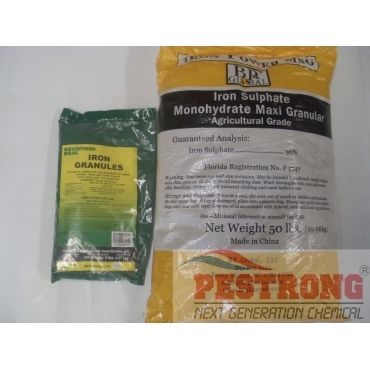 Excellent for treating chlorosis as well as for killing moss. Excellent value for the price! Excellent correction and prevention of iron deficiency and high pH. I can not find easily 30% iron. Thanks for supply.